The Senate endorsed a controversial plan Monday to build a World War II memorial on the National Mall, apparently ending a fierce and emotional battle over how to honor the millions who helped America prevail in the epic 1940s war effort. 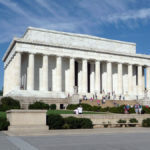 Under the bill, work could proceed on a 7.4-acre memorial at the Rainbow Pool site between the Washington Monument and Lincoln Memorial-some of the nation’s most cherished real estate. The measure, which passed without dissent, also seeks to exempt the much-disputed project from further legal challenge. The measure must still pass the House, where approval is expected as soon as today. A similar bill last week passed the House overwhelmingly. 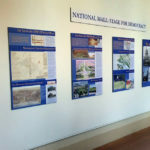 Although opponents Monday said they were still considering last-ditch strategies to block the project, the Senate action was seen as likely ending an acrimonious planning process that had lasted twice as long as World War II itself. Virtually no one objected to honoring the World War II veterans; the process, however, turned into a messy series of disputes over procedure and, ultimately, the push to build it on the serene, open vista between two of the most revered memorials. The Senate action would allow some further review of the memorial’s details, but it was viewed as a huge victory for proponents – a powerful coalition of veterans’ lobbyists that framed the vote as a ballot on the World War II generation itself, a group that is dying off by the thousands each week. Advocates hope for a signing ceremony at the White House on Memorial Day, and President Bush has expressed his support for the memorial. In fact, public divisions over the memorial location were also reflected among veterans, at least to some extent. Shortly before Monday’s Senate action, about two dozen World War II veterans protested the plans, which they said were a result of behind-the-scenes dealmaking and a lack of due process. “I would gladly give up my Purple Heart,” siad Clark Ashby, a 78-year-old veteran from Carbondale, Ill. “We were fighting against exactly the sort of thing that’s going on. The National Coalition to Save our Mall, a group of critics that had filed suit to block the memorial from proceeding at the Rainbow Pool site, expressed deep unhappiness with the Senate action. Although some critics have blasted the memorial’s design as totalitarian, much of the opposition has centered on its location. The $140-million memorial- featuring a sunken pool, fountains, two 43-foot-high granite arches, bronze eagles, wreaths and commemorative pillars – would sprawl across the mall near the reflecting pool. The planned site is also near memorials for the Vietnam and Korean wars. Proponents held a symbolic groundbreaking for the memorial in November. They hope it will be completed by 2004. But plans were put on hold in March, in the wake of revelations that the chairman of the National Capital Planning Commission had cast votes after his term had technically expired. 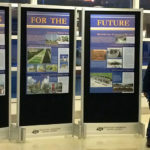 Then, earlier this r month, critics of the site rejoiced in the news that the National Capital Planning Commission was reversing itself and planning a new, two-day public hearing, along with with requesting a detailed model of the memorial and surrounding landscape. But in response to those developments, memorial’s proponents mounted a powerful counterattack, and last week the House passed a measure that would push the project forward without further legal review. That restriction on further legal review, which remains in the new bill, may pass constitutional muster, because a citizen’s right to a block a memorial is not enshrined in the Constitution, according to a legal scholar.